It’s my first Easter in Italy and I’m very excited about it. 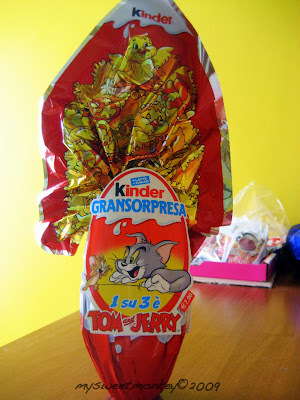 Like all religious holidays, Easter is a major event here in Italy. That also means that it’s a 4-day weekend… for Carlo that is. So we started off by going for a hike to Sacra di San Michele on Good Friday. 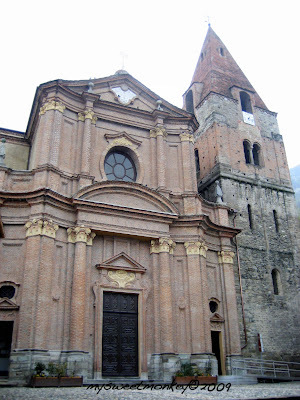 Here’s a picture of Sacra di San Michele which is on Mount Pirchiriano. As most of you know, Carlo is a very devout Catholic. He’s goes to Mass every week, does charity work every other Sunday AND every Friday night, he goes to School of Community. So, it’s no surprise when he tells me that this hike is the procession for The Way of the Cross. The procession for The Way of the Cross is remembering the last hours of Jesus Christ. You follow a man who is carrying a cross. When you get to a stopping point, they read a scripture and sing a hymn, then it’s off to the next stop. Once you get to your destination, it ends with a Mass. So, we go to a small village called Sant’Ambrogio di Torino which is at the foot of the mountain and follow the signs. We meet at the church and wait until 2 o’clock. As people are arriving, the choir is warming up. Once the priest welcomes everyone, he gives a short prayer and also dedicates the procession to the victims of the Earthquake in Abruzzo. Then we begin our journey up the mountain. We finally come to the first stop and I’m already sweating a lot… but I’m ok. I kept thinking to myself that it wasn’t that bad. So, about 10 minutes later, we make our way to the 2nd stop. The trail to the 2nd stop was the hardest. I was smiling because Carlo kept taking pictures of me but, 5 minutes later, I was sweating so much that I had to leave my glasses off, keep my hair up and open my jacket. My heart was beating so fast and I thought I was going to throw up!! The funny thing is that the path looks easy but, it had just rained so, it was muddy and the rocks were slippery. So, it’s on to the next stop, but we’re getting closer. The 4th stop- at the bottom of the church. Just when I think we’re done, Carlo tells me that we still have to go to the stop of the church. He’s telling me this as we make our way up the hill. So, then he tells me that we just have to go up these stairs and we’re finished and I can sit and relax. As I make my way up the stairs, I stop to take a breath but also to notice how pretty the church is. I was so tired and I didn’t think I could make it, but I did! This is one of the views from the church. So today, on Easter Sunday, when I came from Church, Carlo was already home and we started our Easter celebration. Instead of a big fancy meal, (because we’re poor) we ate pizza. For dessert, we ate our Colomba. It wouldn’t be Easter without some Chocolate right? Well, Carlo bought me a Chocolate Egg. The big chocolate eggs are a big deal here. They’re hollow inside and have a surprise when you break them open. So, my 1st Easter in Italy was perfect! While we hiked up the mountain, I had moments where I didn’t think I was going to finish. Carlo would tell me to take my time and then say, “We’re not doing this for us, we’re doing this for Jesus.” So, I had to keep going. It really made me appreciate more the sacrifice he did for us. I can’t imagine that what I went through on this hike was a million times worse for him. Infact, today in church, we sang ‘I Stand All Amazed’ and I thought about the hike on Friday and it made the meaning of the song much more powerful. I said I would not do this hike again, but I know that I probably will. 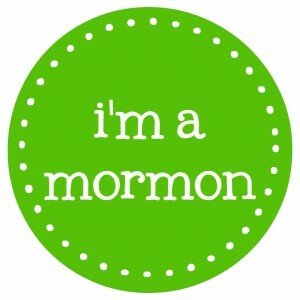 I’m not Catholic but I do appreciate and respect their traditions and it has helped me to become a better member of the LDS (mormon) church. MMM a Kinder Egg! That’s one helluva toy too! My toys have sucked lately. It looks like your Easter was incredible too! WOW! That was some hike, I never would have made it. I would have stopped on the 2nd. stop to rest. I can’t believe you made it to the top. Was that you on the pic. with the brown jacket? I must admit that was a beautiful church and sight to see. That was a nice way to think about Jesus and what he did for us. The world would be a better place if people thought more of Jesus everyday. Here some don’t even respect Easter they drink and drive, crash and kill people, play bingo, steal on the Sabbath Day. It’s worst during the week. There’s alot of good people everywhere. Here lately you hear more of the bad than good. ~~~~ What is Colomba?~~~~Enjoy your chocolate egg. Looks Good! We had a wonderful program at Church this Easter Sunday. My Sunday School lesson was Faith in Jesus Christ. Buona Pasqua, Feliz Pasqua, and Happy Easter. Un Bacione! Holy Moly! You had to work for that chocolate! And here I was complaining about having to walk too far at the soccer tournament!Glad you had a good weekend! What a great way to experince Easter. Thanks for the comment on the c-section. I am starting to feel more and more comfortable about it. Wow, this is absolutely awesome! Not sure if I could have made it to the top. How was the trip back? Ah ha, now I understand why you had a hard time getting to SSM. Well done! Now it becomes an even more meaningful experience and memory.